This book is for anyone who wants to understand computer programming. You'll learn to program in a language that' s used in millions of smartphones, tablets, and PCs. 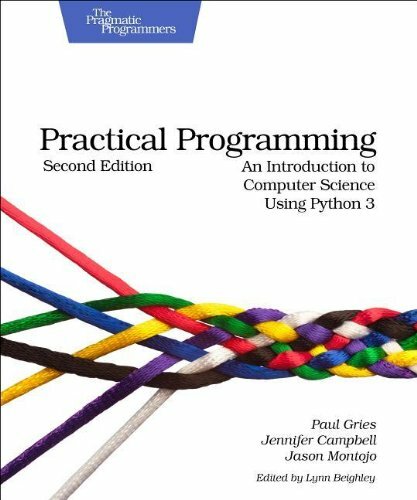 You'll code along with the book, writing programs to solve real-world problems as you learn the fundamentals of programming using Python 3. You'll learn about design, algorithms, testing, and debugging, and come away with all the tools you need to produce quality code. In this second edition, we've updated almost all the material, incorporating the lessons we've learned over the past five years of teaching Python to people new to programming. You don't need any programming experience to get started. First, you'll get a detailed introduction to Python and to programming. You'll find out exactly what happens when your programs are executed. Through real-world examples, you'll learn how to work with numbers, text, big data sets, and files. Then you'll see how to create and use your own data types. The incremental examples show you the steps and missteps that happen while developing programs, so you know what to expect when you tackle a problem on your own. Inspired by "How to Design Programs" (HtDP), you'll learn a six-step recipe for designing functions, which helps you as you start to learn the concepts--and becomes an integral part of writing programs by the end. As you learn to use the fundamental programming tools in the first half of the book, you'll see how to document and organize your code so that you and other programmers can more easily read and understand it. Beyond the basics, you'll learn how to ensure that your programs are reliable, and how to work with databases, download data from the web automatically, and build user interfaces. Most importantly, you'll learn how to think like a professional programmer.